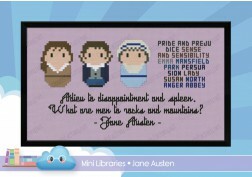 This is the Mini Libraries series. 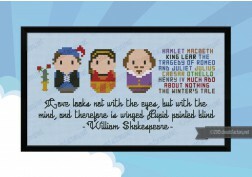 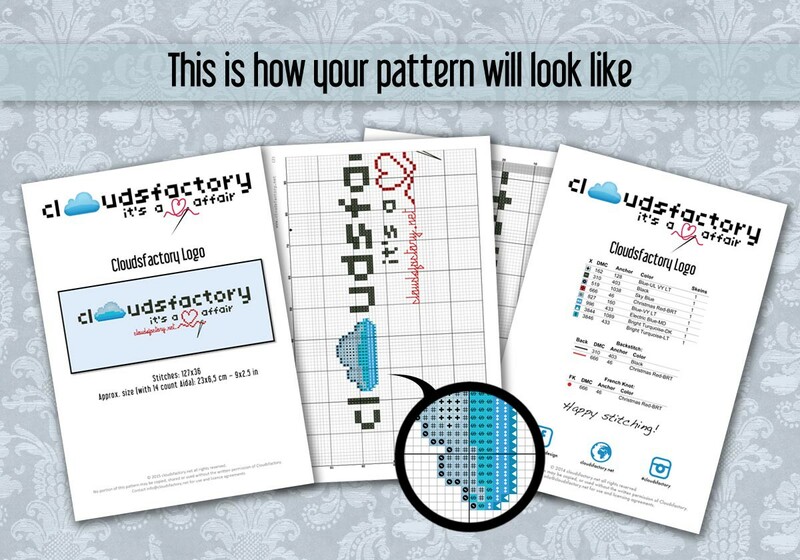 The favourite writers of all the time has been Cloudsfactorized in a mini version! 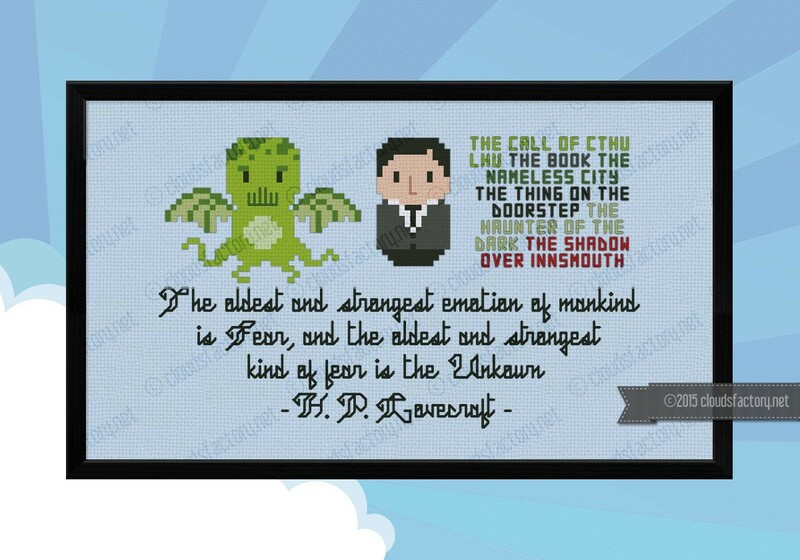 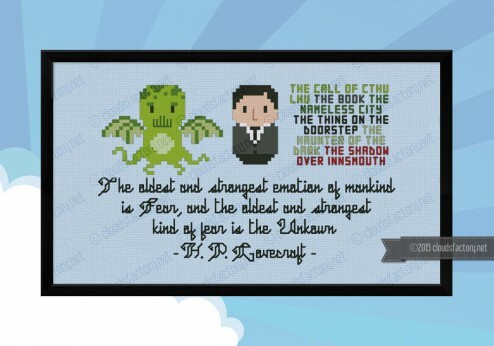 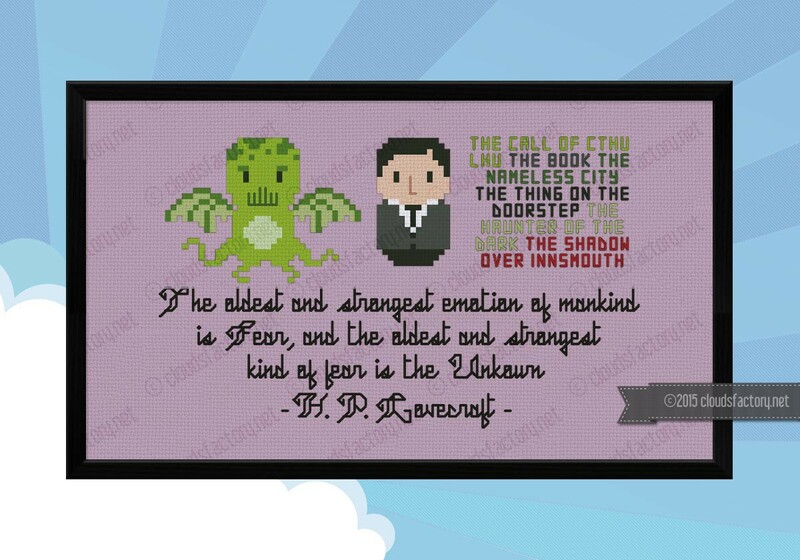 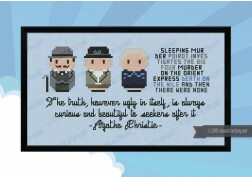 This cross stitch pattern features H. P. Lovecraft together with Cthulhu, some of the novels titles from the Lovecraft's bibliography and the quote "The oldest and strongest emotion of mankind is fear, and the oldest and strongest kind of fear is fear of the unknown'"